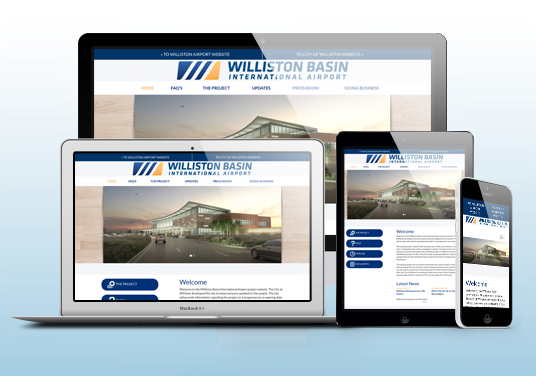 The Williston region experienced explosive growth following discovery of the Bakken Shale formation. The city's population grew from 12,500 in 2000 to an estimated 35,000 plus in 2014. In the same time period, airport boardings climbed from around 5,000 per year to 116,119 in 2014. The City of Williston embarked on the development of a new airport. 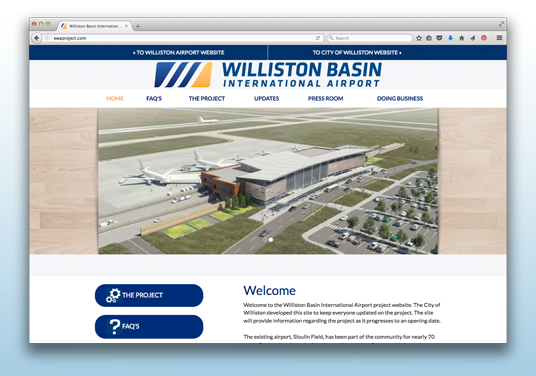 The city hired DAWA to develop a website platform where they could publish information and updates on the new airport project. 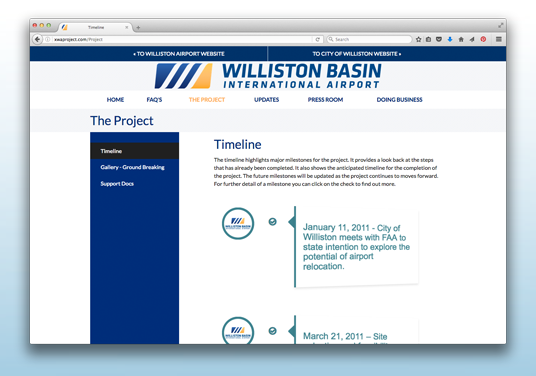 The public is able to access news, documents, FAQ's and a timeline on the progress of the new website. The site also includes an area with information on business opportunities with the project.